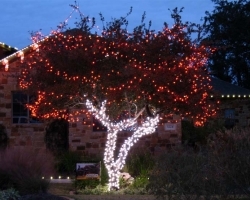 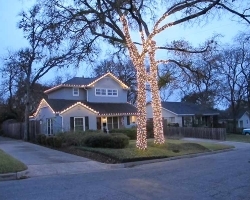 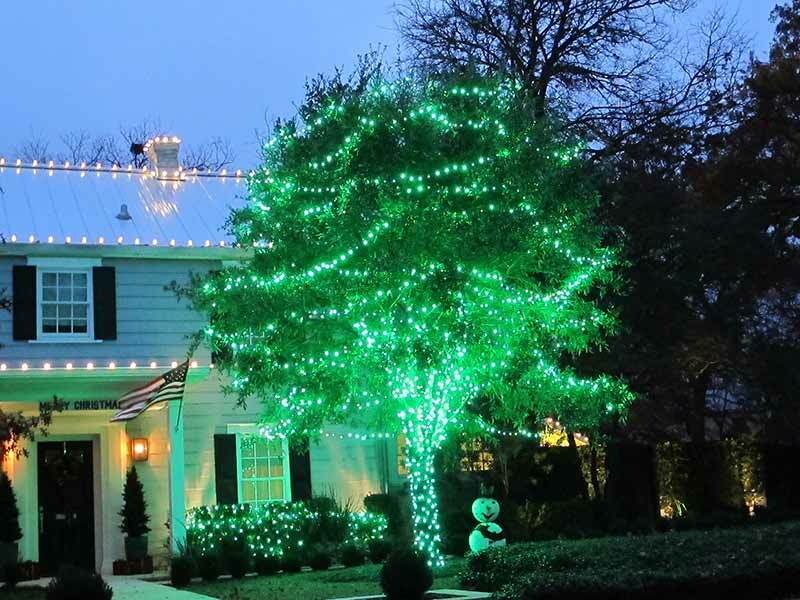 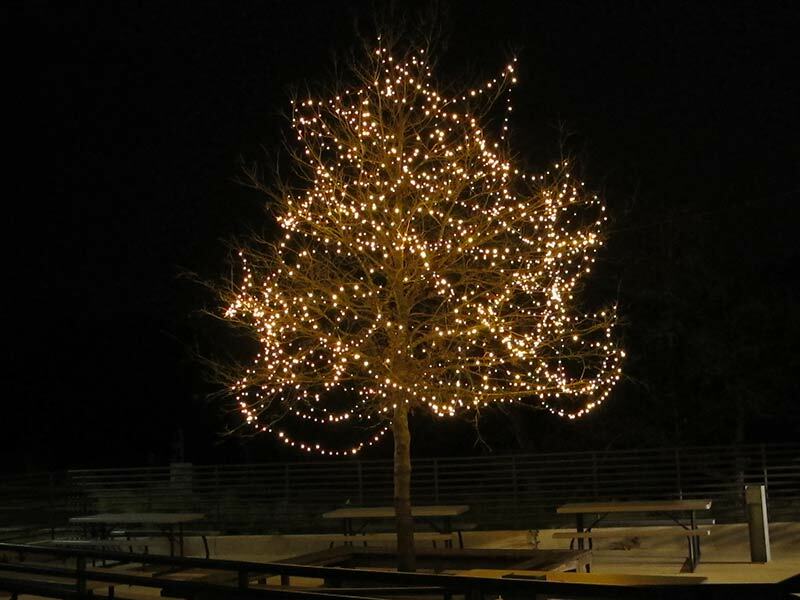 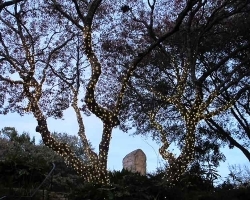 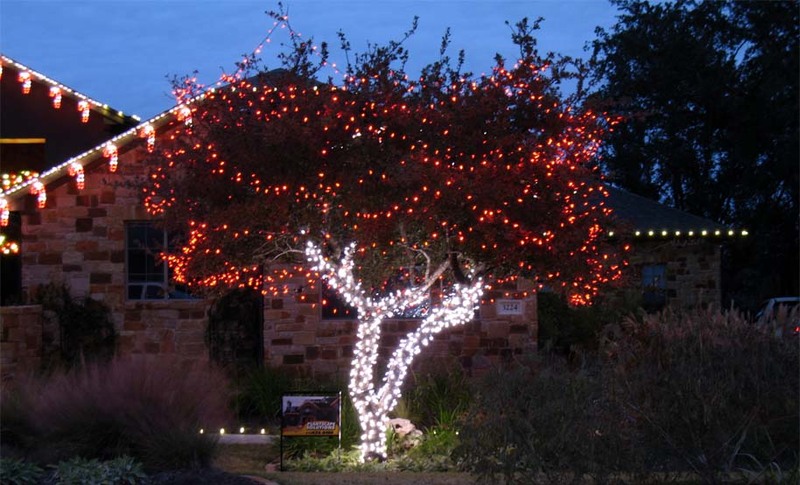 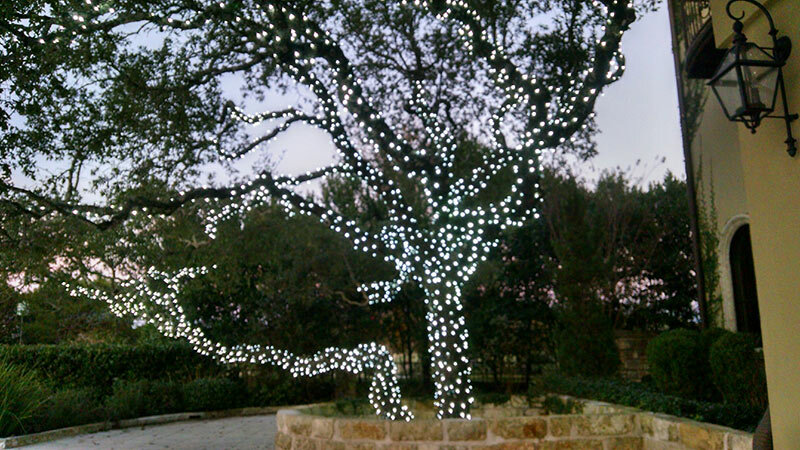 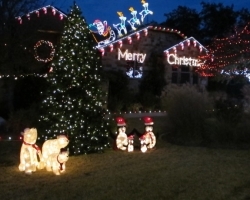 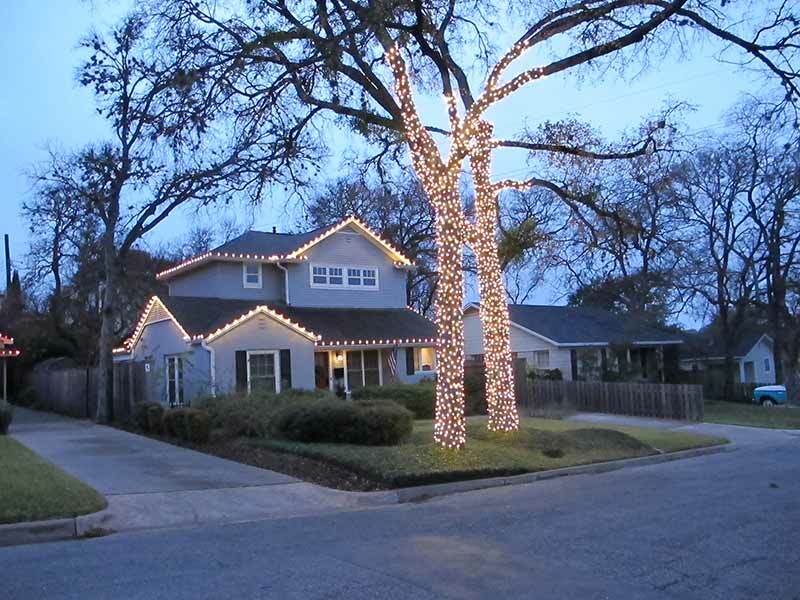 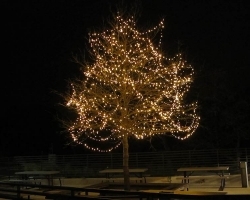 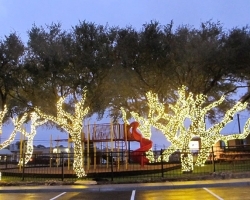 We’re Austin’s LED tree wrapping and lighting experts! 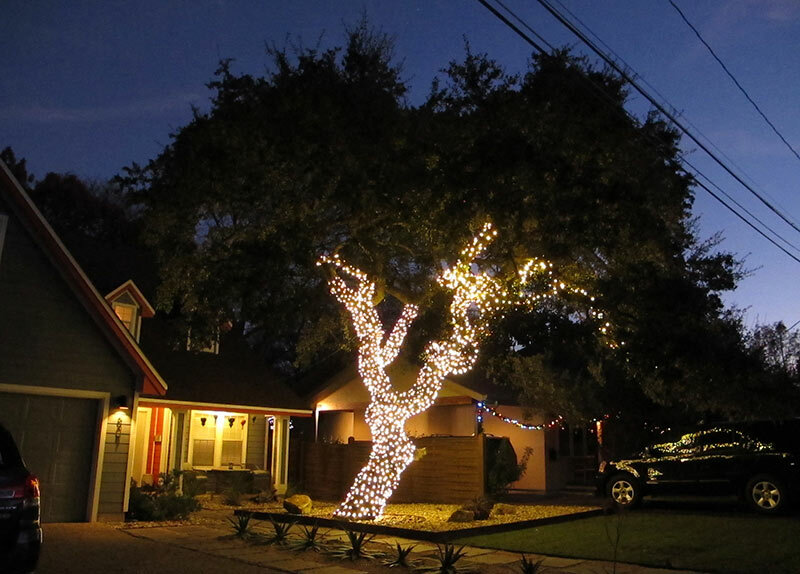 Everyone loves a nicely wrapped and lit Live Oak. 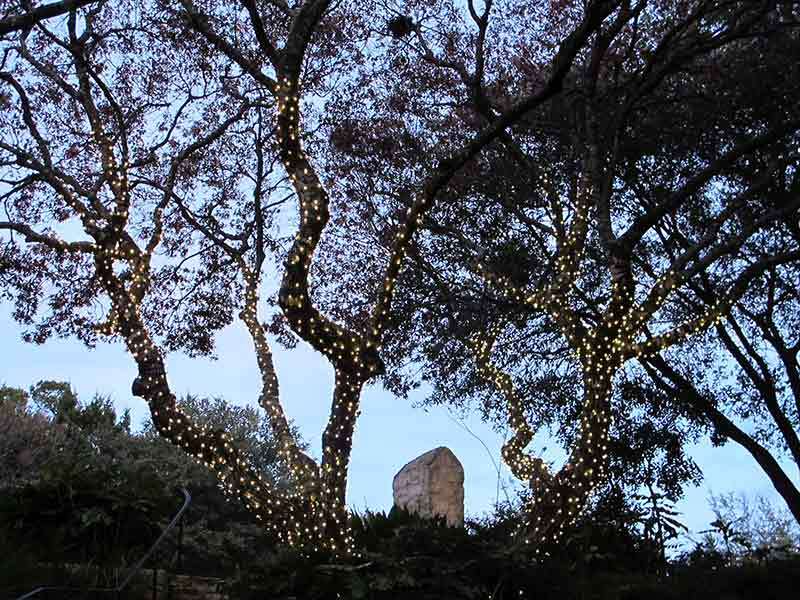 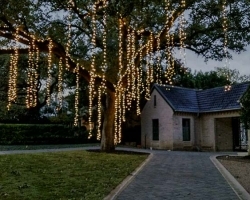 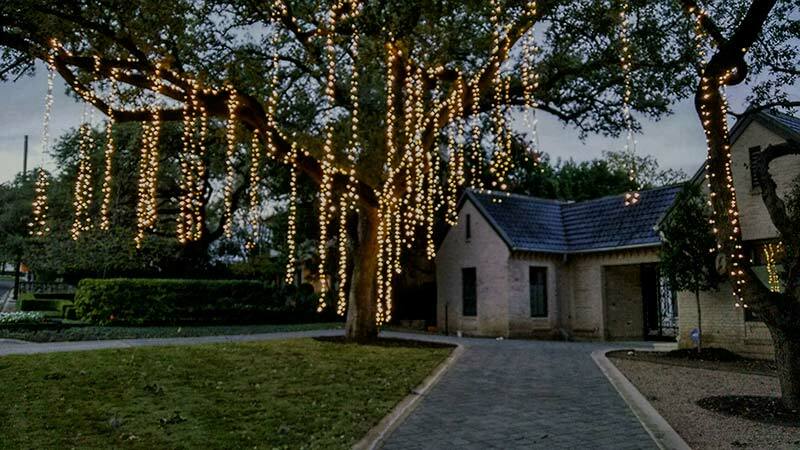 Get your quote to see what it would cost to add some tree lighting splendor to the holidays. 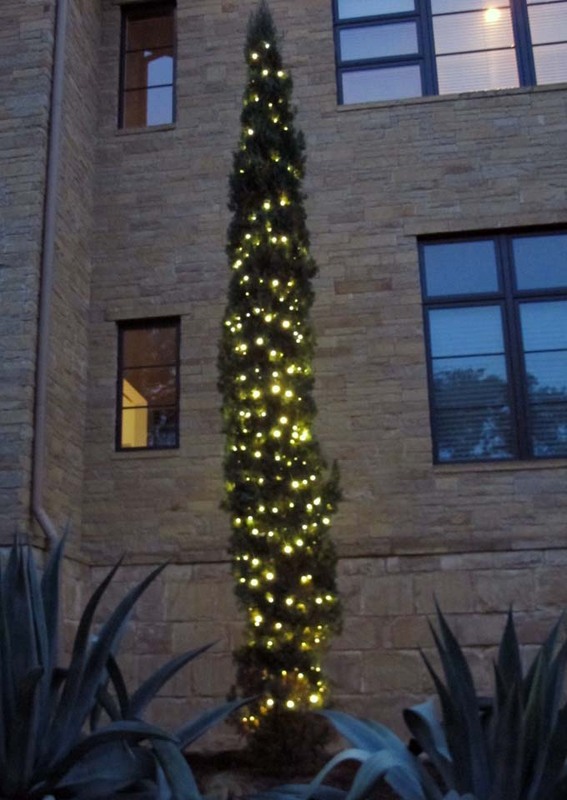 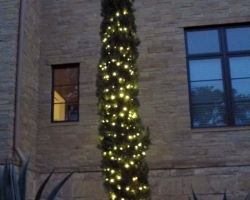 We use only LED 5mm conical lights for lighting trees. 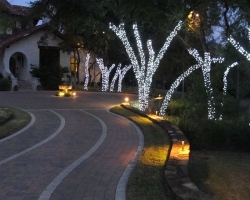 These high tech lights shine the light in a 180 degree spectrum. 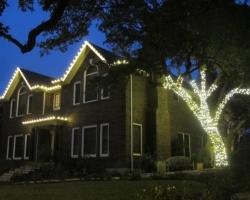 The old incandescent lights shine light in a very narrow spectrum. 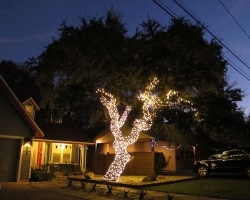 The LED 5mm power draw is only 4.8 watts. 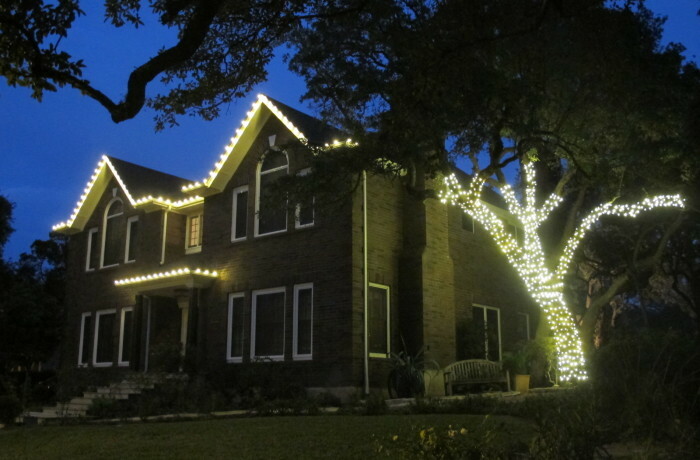 The same amount of incandescent lights would use 28 watts of power. 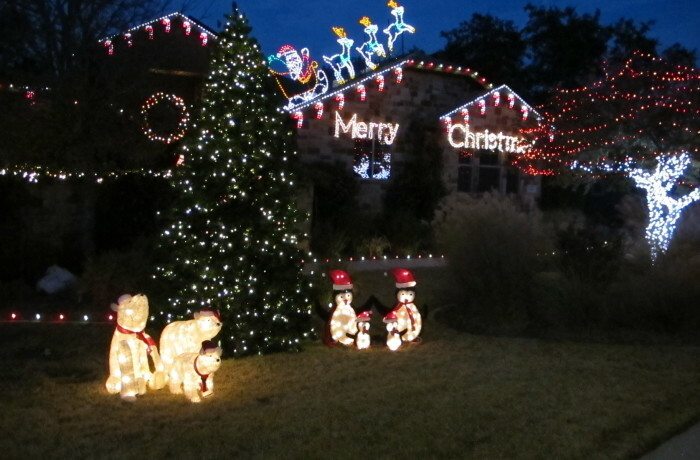 If you plug more then four sets of the incandescent lights together it will blow a fuse. 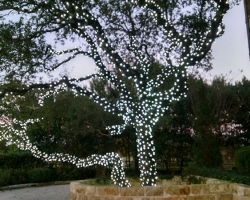 With the LED lights you can plug 45 sets of lights together. 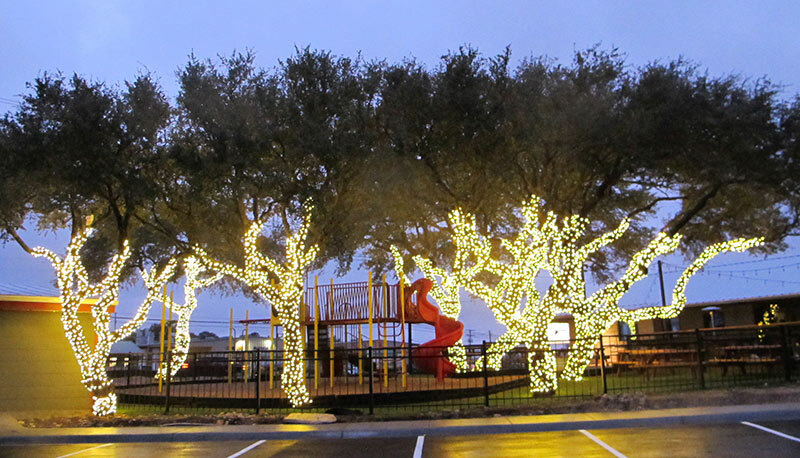 The LED lights come in a wide array of color choices from warm white, to the full range of other colors like multi, red, blue, pure white, green, and many more. 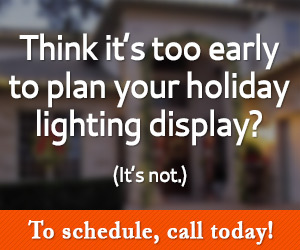 Call today to get your estimate scheduled.